THEN, even worse…you’re an “adult” & forced to go to work, earn a living and again…fight off the bullies! 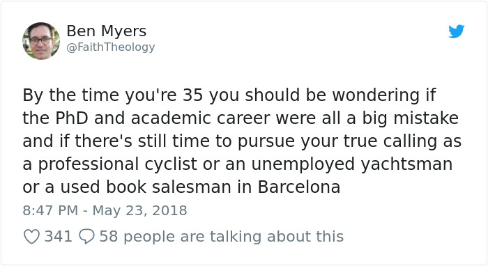 However, your 30’s (especially your early 30’s) is a nice plateau in life. You’re old enough to be classed as a fully fledged ‘adult’, but not really old enough to be making those ‘BIG ADULT DECISIONS’ yet! 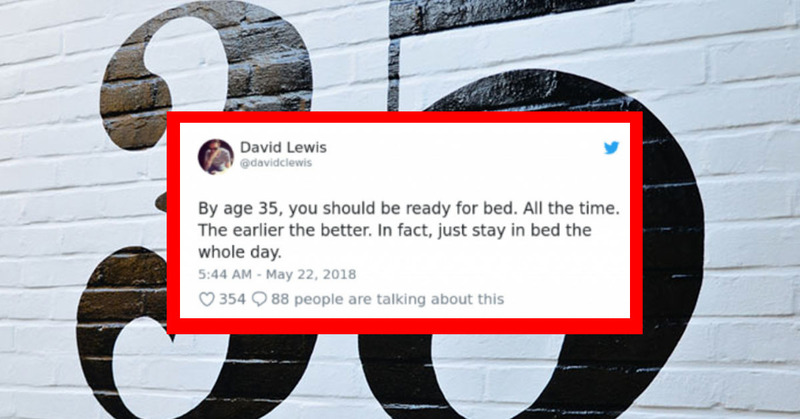 If you’re 35 or older, check out this list to see if you’re successfully adulting! 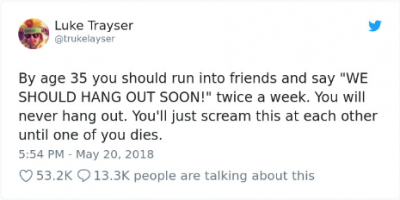 Or not, as the case may be…but you should at least be attempting to make plans on a regular basis, because that cocktail friend date IS DEFINITELY, TOTALLY, ABSOLUTELY going to happen this time…! I think this may be the only one I’m already down with…I’m ALWAYS ready for bed. In fact, if it wasn’t for my “responsibilities”, I’d never move! I think we’ll leave that one to the storybooks rather than real life…murder is WRONG kids! Tupperware is one of those mystical, magical creations (like Socks!) that just appears everywhere, you don’t know how you accumulated so many…and none of them match! The old’ affirmation of ‘fake it until you make it’ is never more appt than in your mid-thirties. 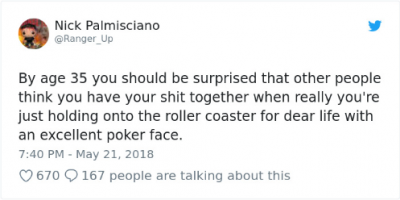 Don’t worry, everyone else has no f*cking clue what they’re doing either! 7. Where DO they come from!? Like the socks and the Tupperware, the PLASTIC BAG is another mythical creature that just appears in hoards and suddenly becomes a part of your life. Maybe it’s part of some kind of surveillance takeover!? Illuminati eat your heart out! 8. The cables are in on it too! More Illuminati surveillance f*ckery, no doubt. I better not say too much or they’ll be onto me! 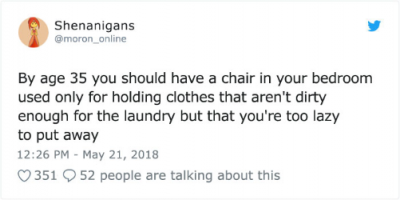 We all have ‘THE Chair’, & without it, our laundry/”re-wear or wash” schedule would be up the kyber! An absolutely essential adulting tool. I’m only 31 and all I do is basically rotate two outfits and talk sh*t. So I think I’ve got the mid-thirties fashion game right down to a tee already! 12. Don’t be a mug! This one is easy, I have a ‘The Simpsons’ (Spider Pig) mug for my cups of tea, my ‘Nightmare Before Christmas’ one for my Hot Chocolate and a ‘Mr Burns’ one for soup and other related drink/also slightly food based beverages…and I’M MORTIFIED if anyone else uses them for another purpose…or uses them AT ALL, in fact! 13. So much to do, so little time! & Not just video games, but DVDs, video streaming libraries, online watch lists, YouTube playlists and shelves full of untouched books…the list goes on. & Then it hit me! Like those plans with your friends…I’m afraid it’s just never going to happen. 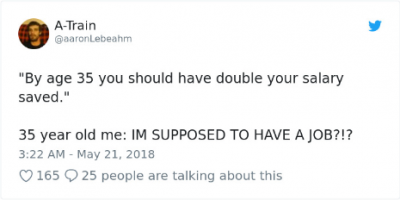 A moment of silence for those tabs lost to adulthood. Perhaps those plans would actually happen if you didn’t keep canceling them all the time! But it’s just so damn satisfying! ‘Sorry, I’d love to, but it’s my Cat’s birthday! 17. Regrets, I’ve had a few! Don’t worry, it’s natural to regret absolutely EVERYTHING by the time of your quarter-life crisis. But remember, it’s never too late to make a change! As if things weren’t bad enough by age 35, you start turning into your parents! But the 90’s WHERE only ten years ago!? Right? RIGHT!? Please don’t do this! 20. But most importantly….it’s never too late! Take life at your own pace and just do what makes YOU happy. I’m 31 and still have no idea what I want to be when I ‘grow up’ and I’m certainly not going to get my sh*t together within four years.